The Centre for Appropriate Technology Limited (CfAT Ltd) is an ASIC incorporated not-for-profit Company limited by guarantee. We operate under a ‘Company Group’ structure comprising the parent company CfAT Ltd and a wholly owned commercial engineering consultancy Ekistica Pty Ltd, trading as Ekistica which operates across multiple sectors nationally and internationally (www.ekistica.com.au). Both parent and subsidiary companies share a broadly similar mission and set of values around ‘engagement and people, innovation and excellence’. CfAT Ltd is an Aboriginal and Torres Strait Islander (ATSI) controlled business with a majority ATSI Membership, Board and Chairperson. CfAT Ltd has a core commitment to providing employment opportunities for Aboriginal people who currently comprise 50% of parent company staff members. 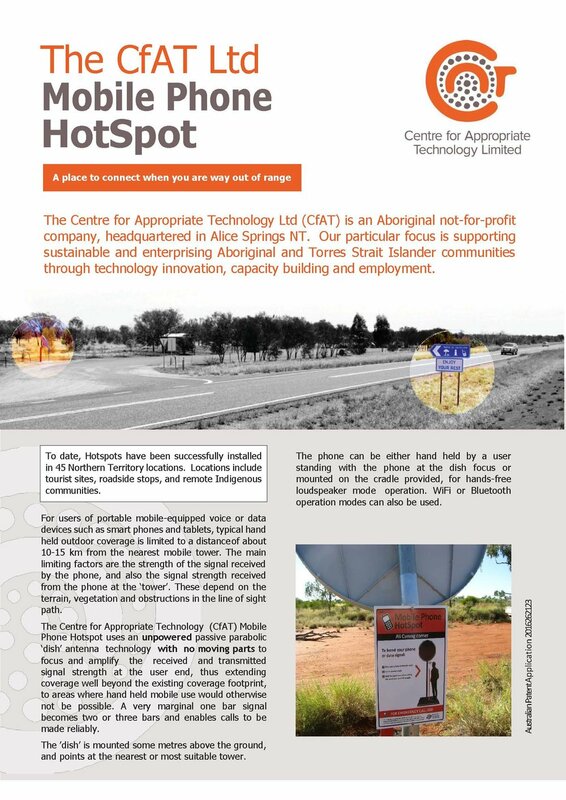 Based on a 38 hectare site 5km south of Alice Springs, CfAT Ltd also comprises of offices in Darwin and Cairns. CfAT Ltd has a national focus, currently undertaking projects across central and northern regions of the Northern Territory and in Western Australia, Queensland and South Australia. CfAT Ltd works with Aboriginal communities and organisations, Aboriginal Land Councils, Federal, State, Territory and Local Government jurisdictions, tertiary and VET educational institutions, the private sector, NGO's and philanthropic organisations. CfAT Ltd exists to support people in regional and remote Australia in the choices they make in order to maintain their relationship with country. Maintaining a relationship with country may include a desire to live on country, visit country, develop country for economic benefit or protect country. We achieve this by providing solutions to infrastructure challenges that people face in maintaining their relationship with country, primarily: reliable power, water supply, digital connectivity, built infrastructure, training and skills development. 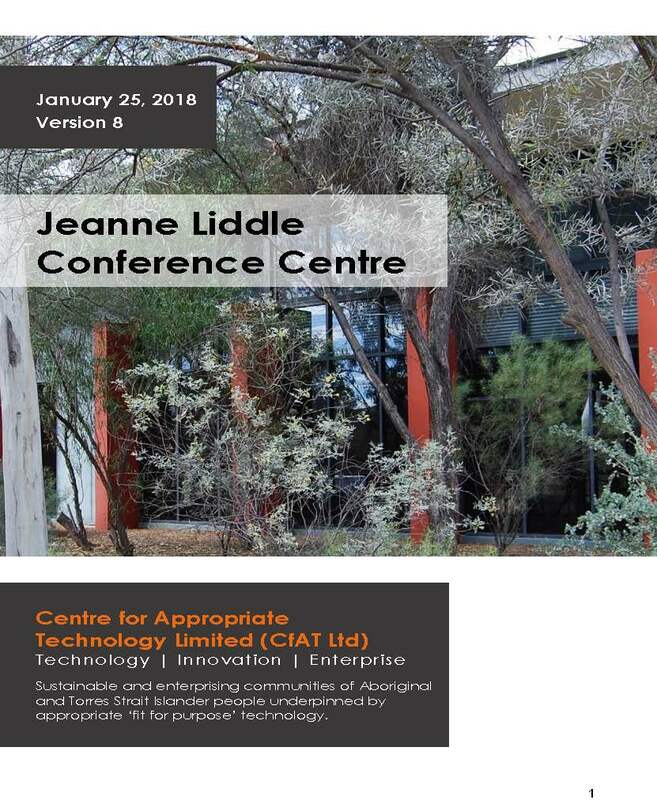 Sustainable and enterprising communities of Aboriginal and Torres Strait Islander People underpinned by appropriate ‘fit for purpose’ technology. Through our unique knowledge of and engagement with remote people and place we will deliver practical, integrated project design, technical innovation, training and infrastructure products and services – supporting livelihoods and growth in economic opportunities across remote areas. How we aim to achieve our objectives are outlined in our five year Strategic plan 2016 - 2021.
in central and northern Australia. and improves community health and well-being.